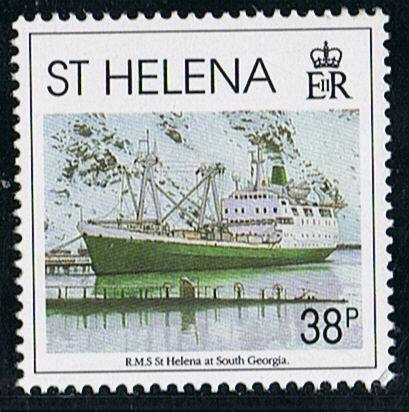 When the Union Castle Line, the mail service from England to South Africa which made calls at St Helena ended on 24 October 1977 after the arrival of the SOUTHAMPTON CASTLE in the U.K, the tiny island St Helena which did not have a airfield, needed a other vessel to transport stores, equipment, passengers and mail to the island. 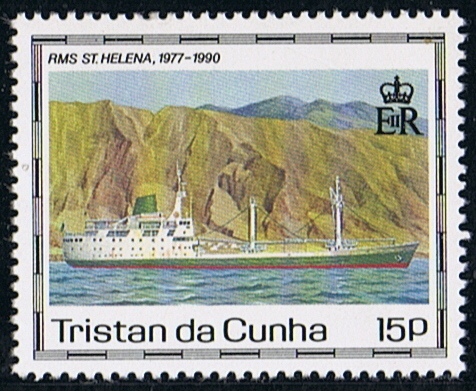 The Government of St Helena together with the English Curnow Shipping Co., from Helston, Cornwall founded the St Helena Shipping Co., and this company got the contract from the British Government to transport cargo, mail and passengers to the island. Thereafter the search for a suitable ship started, which was not easy, there was not much on the market what fitted the bill. 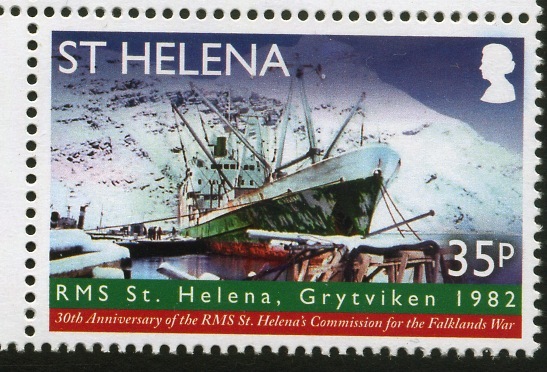 At least the United International Bank Ltd, London, bought the NORTLAND PRINCE for £1 million, and she was through chartered to the Government of St Helena. She was built as a cargo-passenger vessel under yard No 314 by Burrard Drydock Co. at Vancouver for the Northland Shipping (1962) Co. Ltd., Vancouver, Canada. 02 February 1963 Launched under the name NORTHLAND PRINCE. Tonnage 3,150 gross, 1,892 net, 2,228 dwt., dim. 329 x 48 x 18.1ft. Powered by Stork-Werkspoor diesel engine, 4,200 bhp., speed 14 knots. Passenger accommodation for 80 passengers. Cargo capacity 135,000 cubic feet, partly reefer space. After delivery used in the Canadian coastal service from Columbia to Alaska. 1977 Sold to the United International Bank Ltd., London for £ 1 million. 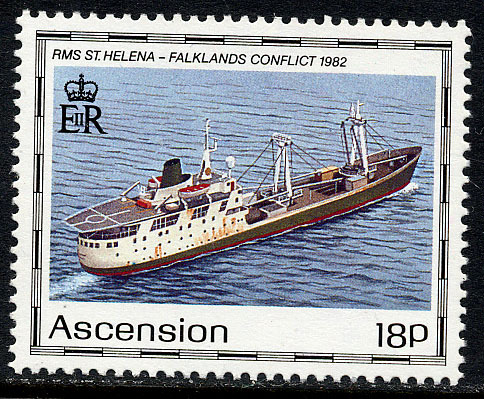 December 1977 arrived in Avonmouth, U.K.
She made first a trial voyage to St Helena before she for £1 million was rebuild to make her suitable for the service to St Helena. New lifeboats were placed and the fire extinguishers renewed, accommodation improved and modernized, and fitted out with a hospital, also she got air-condition. After her rebuilding she got accommodation for 67 passengers and two saloons. 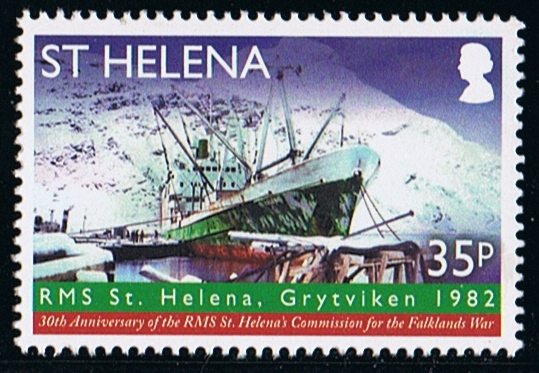 She was renamed by Princess Margaret, ST HELENA. 13 September 1978 she made her maiden voyage under her new name from Avonmouth. 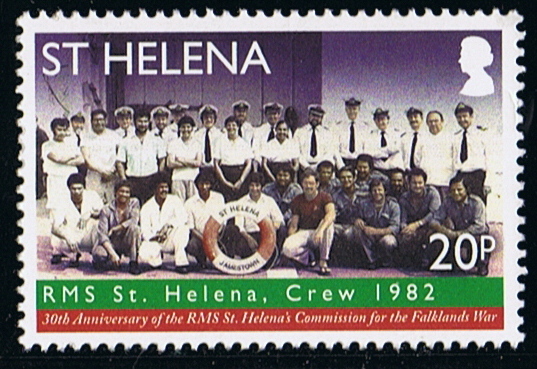 Officers are English; the crew is from St Helena. 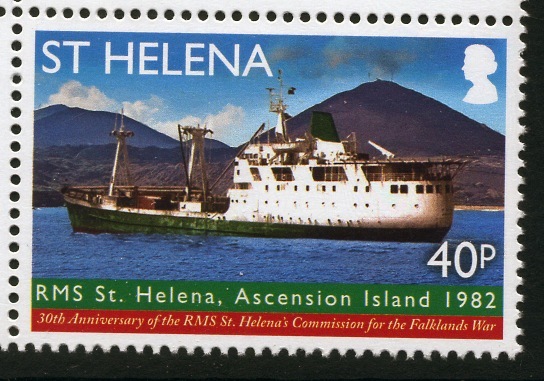 The intention was that she made six voyages each year to St Helena from Avonmouth, making a call at Tenerife for bunkers and cargo, before heading for Ascension and St Helena. 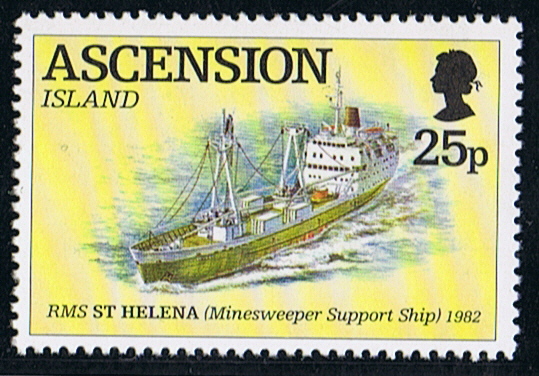 The voyage from Avonmouth to St Helena is about 14 days, and from St Helena to Capetown around 6 days. 06 December 1978 she made her first voyage to Capetown. 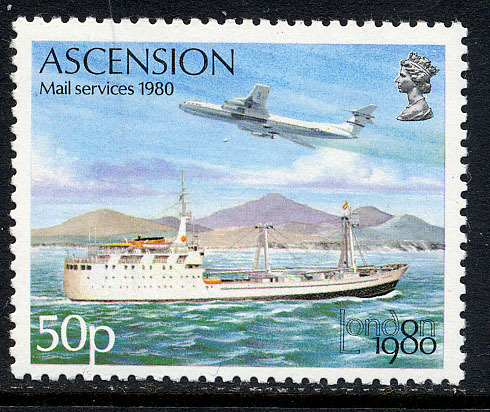 Later she collected the mail for St Helena at Ascension, what did have an airfield and the mail was send there by plane. 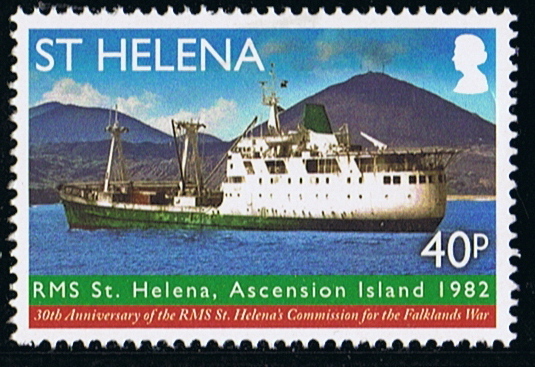 On her return voyage from Capetown she made a call at St Helena but not at Ascension. One time a year with on board the Governor of St Helena and cargo, she sails to Tristan da Cunha, the Governor is also responsibly for this island. She was sometimes chartered by the French Napoleon Society for a charter trip from Capetown to St Helena. During the Falkland War was she used as a mother vessel for the two Hunt class minehunters. She arrived Avonmouth 22 May 1982 and during discharging work already commenced for her new role. After discharging she moved to Portsmouth for modification, a flight deck and a shelter for a Wasp helicopter were added, water tanks converted to fuel tanks. RAS gear fitted to supply both water and fuel to the two minehunters. Satellite communications, naval communications equipment placed in the radio room. Armament of 4 – 20mm Oerlikons and MG’s. AS 12 missiles for the helicopter. Stored out for four months and six-reefer container were placed on deck fully loaded with stores. A total of £150.000 worth of stores was loaded. Spare parts and ammunition for the minesweepers was loaded in 20 and 40ft containers. 09 June she sailed out with a merchant navy crew of 33 and a naval party of 73. At Portland she carried out a work up together with the two minehunters, and to try out her RAS installation. 13 June she sailed out together with her two minehunters. After a call at Ascension for bunkers she sailed for the South Atlantic on 29 June, arrived Port Stanley on 10 July. Then she sailed to the Ajax Bay in San Carlos on 14 July together with her two minehunters the HMS BRECON and LEDBURY. She stayed there till 25 July. The minehunters located the wrecks of the HMS ANTELOPE, ARDENT and COVENTRY, also five Argentinean fighters were located on the sea bed which had not been reported as shot down, and the wreck of the Argentinean container ship RIO CARARANA. By 14 August they had done all they were came for and after a call at St Helena she sailed to the UK were she arrived at Rosyth on 15 September. During this time she had sailed 17.083 miles. 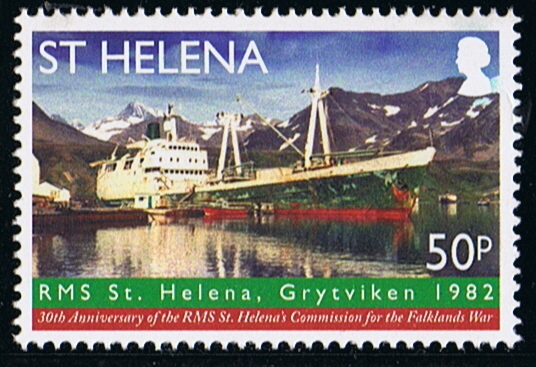 Thereafter did the British Government re-charter her for further work as a supply vessel for the Falkland Islands. After rebuilding and repair at Falmouth she was handed back to her owners one year later. 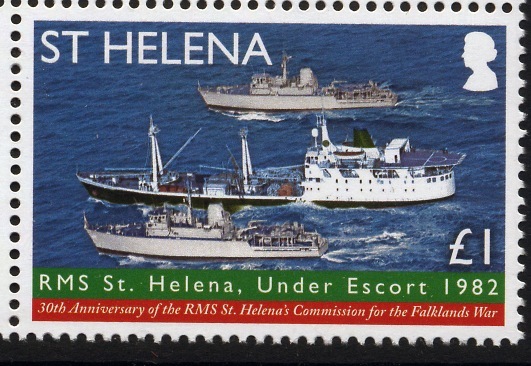 17 December 1986 the British Government approved the building of a new vessel for the service to St Helena, the ST HELENA became to small and got older and had to be replaced. 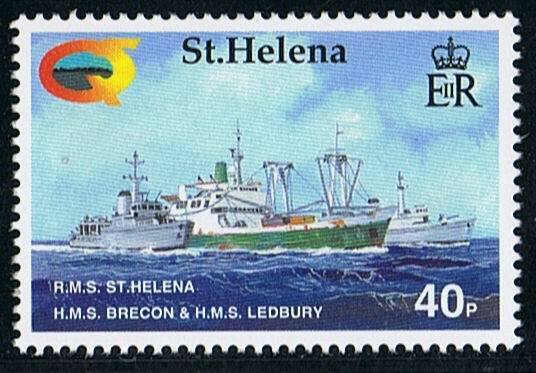 1990 Renamed in ST HELENA ISLAND after the new ST HELENA was launched. The same year sold to Sea Safaris Ltd., Malta and renamed AVALON. 1993 Sold to Indoceanic Maritime Enterprises Ltd, Mauritius and renamed INDOCEANIQUE. 1996 Deleted from Lloyds Register – “Broken up”. Ascension 1980 50p sg 267, scott?.1986 15p sg403, scott?. 1990 18p sg532, scott 495. 1994 25p sg630, scott 495. 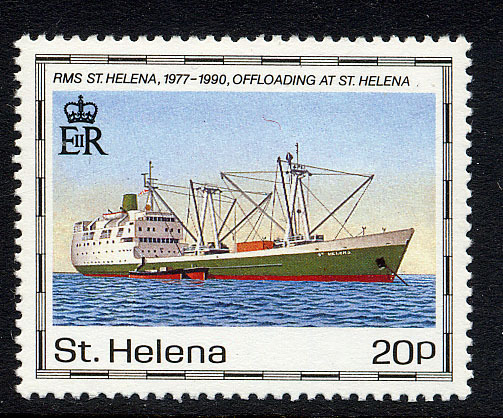 St Helena 1990 20p sg573, scott 563. 1992 38p sg614, scott577. 1992 38p +8P SGMS616, Scott579c. 1995 60p sg709, scott 665. 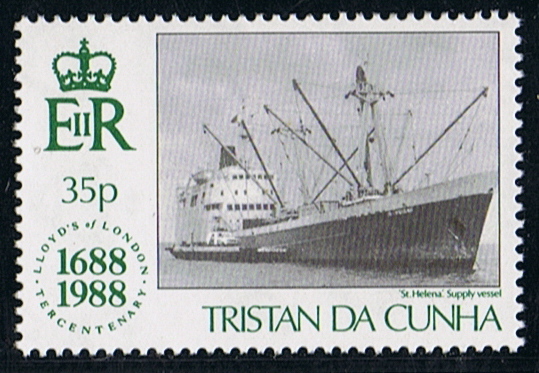 Tristan da Cunha 1988 35p sg459, scott?. 1990 15p sg501, scott438. 1996 15p sg598, scott580. Marine News 1994/161. 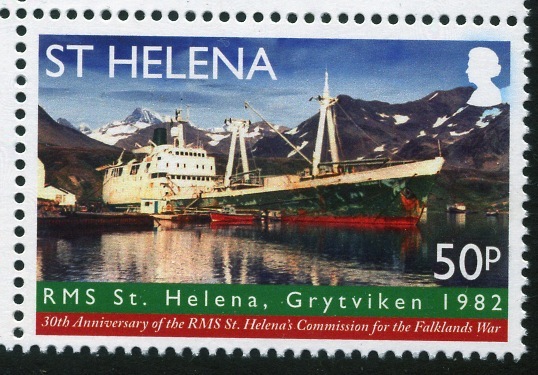 Register of Merchant Ships Completed in 1963. Sea Breezes. Merchant ships at War by Capt. Roger Villar. 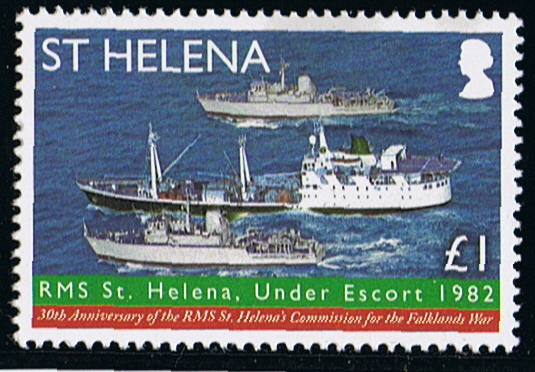 30th Anniversary of the RMS ST HELENA commission for the Falkland War.